Len, Ben, John, Tony, and Mike fly into Vegas, spend some time in Zion National Park and head to the Vermillion Cliffs Wilderness. They leave the Wire Pass trailhead and hike Buckskin Gulch, the longest contiguous slot canyon in the US, at 14 miles, in one day; 4 more days along the Paria River in the Paria River Canyon before exiting at Lee’s Ferry, AZ. 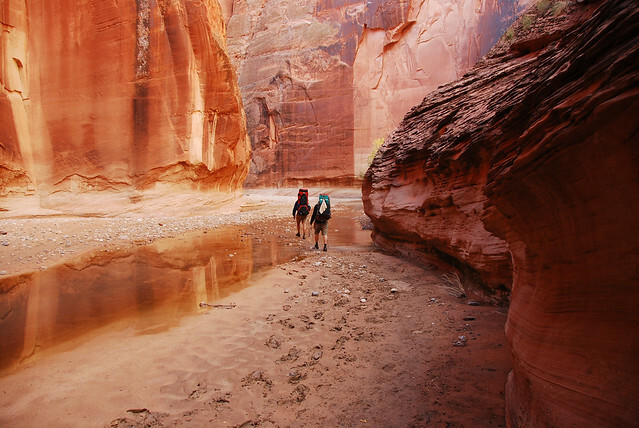 Mud, water, a little bit of snow, tight canyons, and more water, as the trail crosses the Paria River hundreds of times, makes for an exciting backcountry trip. No other hikers encountered since two hours into the trip, virtually 5 days of solitude. 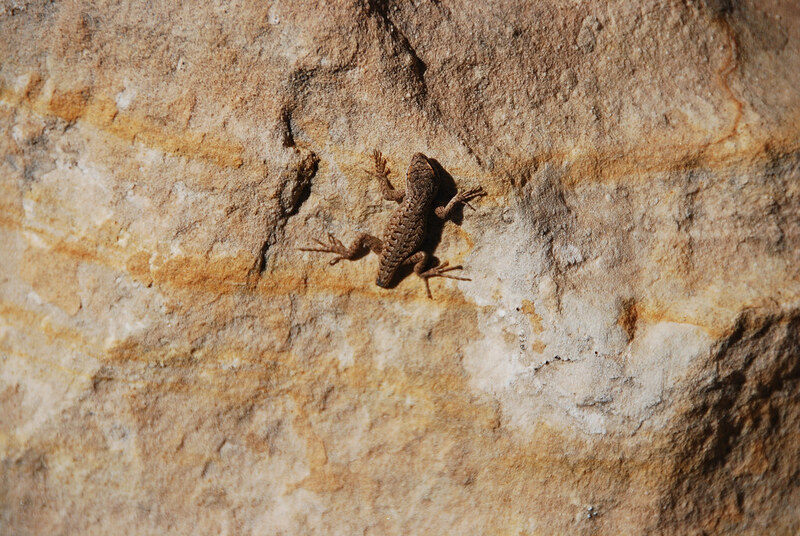 This lizard was seen on the West Rim Trail in Zion National Park. Either a freak of nature, or something ripped off his tail. Someone was here before us! 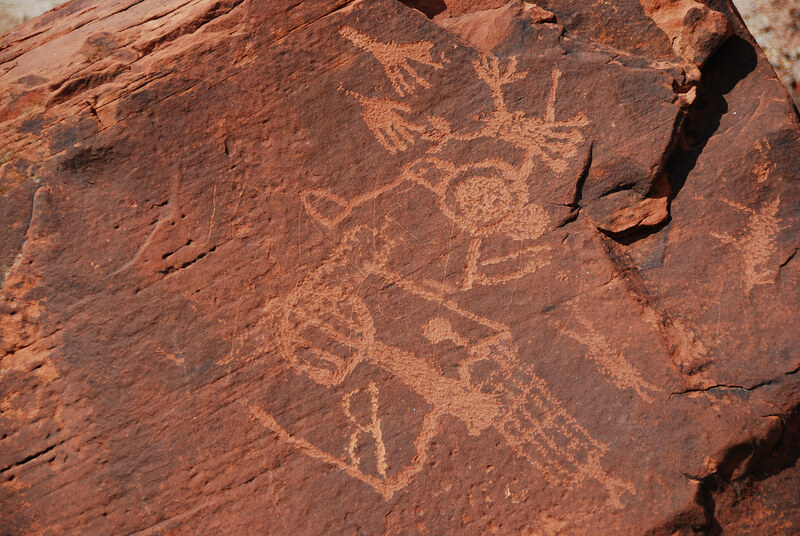 Petroglyphs in the Paria River Canyon, Utah. October 2009.